DETROIT -- Nissan Motor Co., General Motors Co., Ford Motor Co. and Kia Motors Corp. lead the list of automakers with models under consideration for 2011 North American Car and Truck of the Year honors. The awards are judged by automotive journalists from the United States and Canada -- representing magazines, newspapers, Web sites, television and radio. 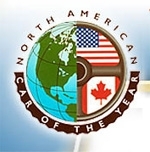 Twenty-seven new cars were eligible for the 2011 North American Car of the Year award. Jurors voted this week on models they thought deserved additional consideration and narrowed the field down to 14 cars. GM and Nissan each have three car models on the short list. There are four European models, four domestic, four Japanese and two Korean models under consideration. For the 2011 North American Truck of the Year, there are 14 trucks under consideration. Three car and three truck finalists will be announced on December 16th in Detroit. The winners, a North American Car of the Year and a North American Truck of the Year, will be announced in January at a press conference prior to the Detroit auto show. The jurors include Edward Lapham, executive editor of Automotive News. Last year, the Ford Fusion was named North American Car of the Year; and the Ford Transit Connect van was named North American Truck of the Year.